Ireland is famous for plenty of things: its pubs, sheep, potatoes… but we can think of a far more inspiring reason to visit Ireland! 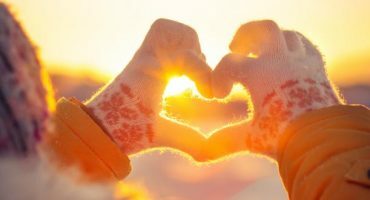 The views are drop-dead gorgeous, even if you do have to put up with the weather while you enjoy them! The views around Ireland are like no where else on Earth. It’s a total cliche but a true one. There’s something a bit magical about that place, and maybe that’s why their legends and lore of leprechauns and the promise of gold at the end of every rainbow have made their way to our breakfast tables (pass the Lucky Charms, please!). If you’re sitting on the fence about where to spend your summer vacation this year, can we suggest the Emerald Isle? 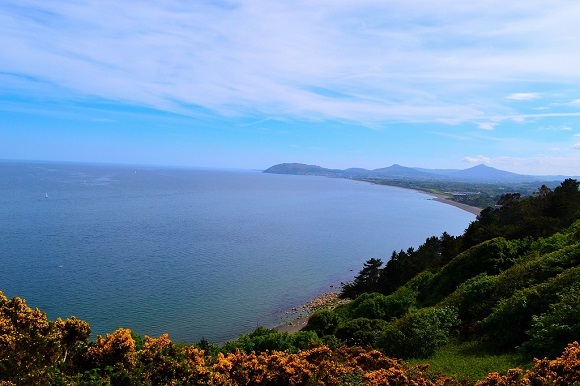 If you need a little more convincing to just go on and book those flights to Dublin, take a look at these gorgeous spots to visit, that offer some of the best views around the country. 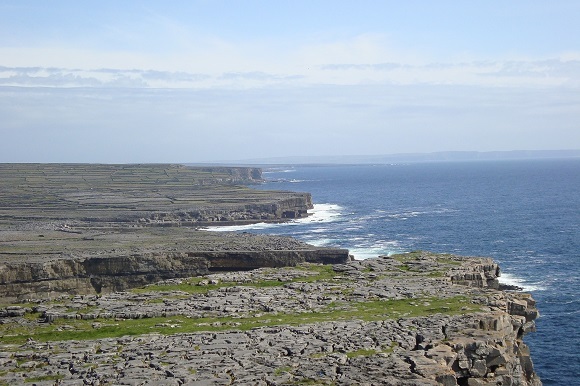 Inishmore is the largest of the Aran Islands, off the west coast of Ireland in Galway. Its unique landscape is made up of limestone that is criss-crossed peculiar cracks called grikes. Welcome to Yeats Country. The place is equally known as the childhood home and final resting place of the poet W. B. Yeats as this thing: Belbulbin. 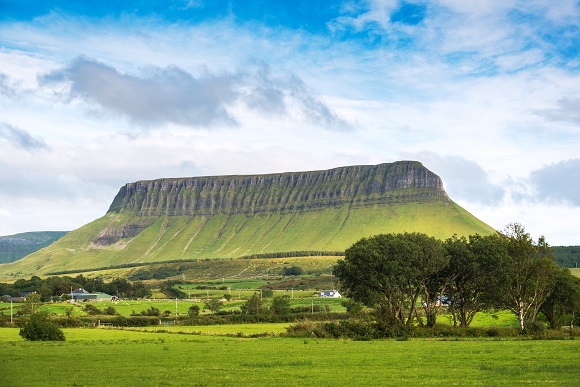 It’s a giant slab of Dartry Mountains that got its distinctive shape during the Ice Age. 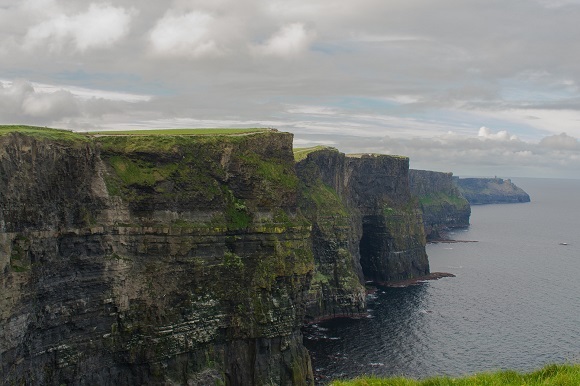 The Cliffs of Moher are one of the top sights in Ireland, and it’s no wonder! These 700-foot-tall cliffs attract around a million visitors each year. You’ll find them on the south-western part of the Burren region. Just don’t get too close to the edge! There’s nothing like a day at the Races, but what if those races were on the seaside? Head north of Dublin to a place called Meath in September to attend a full race meeting on the beach there. It’s a highlight in the summer social calendar. It’s the only officially approved beach race in Europe. 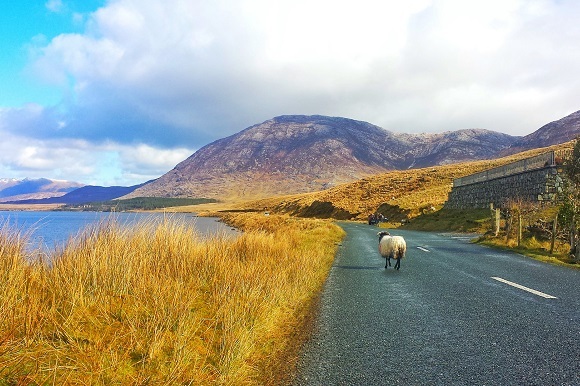 Rent a car and hit the road in Ireland. 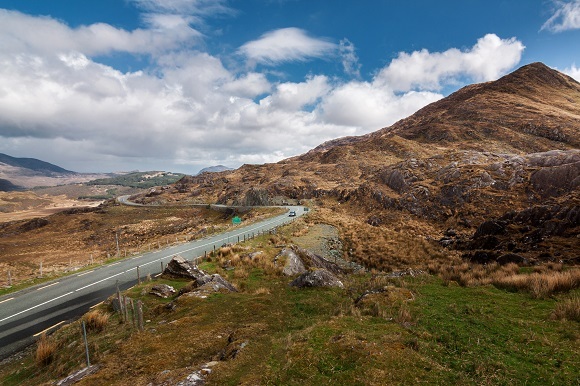 Moll’s Gap is one of the spectacular passes along the famous Ring of Kerry route and has great views of the Macgillycuddy’s Reeks mountains. This southern seaside suburb of Dublin is quite the place to stay while you visit the capital of Ireland. 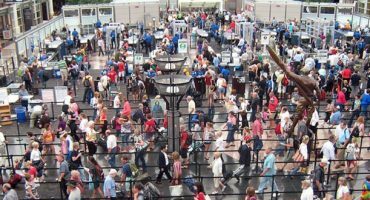 It’s a popular spot for the rich and famous and who knows… you could even bump into Bono or Enya while on vacation here! If you’re a Game of Thrones fan, then you’ll have to add this place to your list of things to see and do in Ireland. 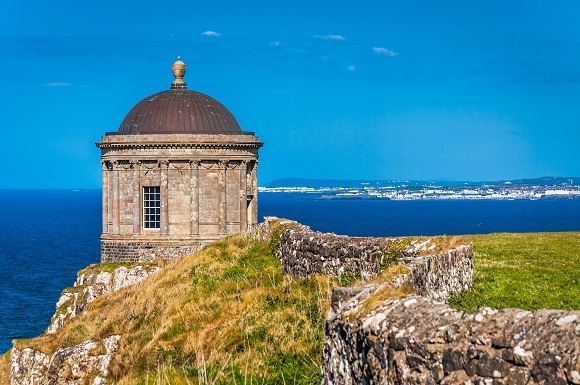 Mussenden Temple is an 18th century folly that was originally built as a summer library, and perches quite dramatically onto a cliff that overlooks the Atlantic. 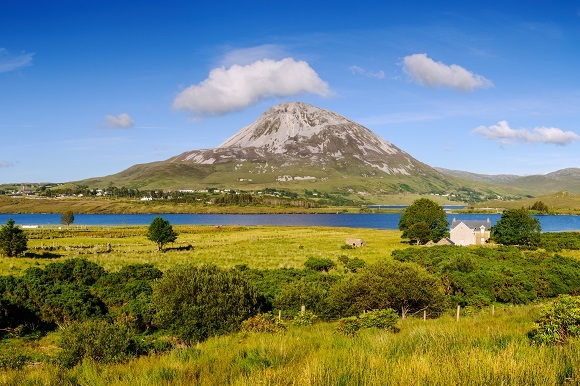 Connemara is located in the northwestern part of Galway and is one of the country’s official Irish-speaking regions, also known as Gaeltacht. About five years ago there was estimated to be only 83,000 Irish speakers in the country, out of a population around 4.6 million. 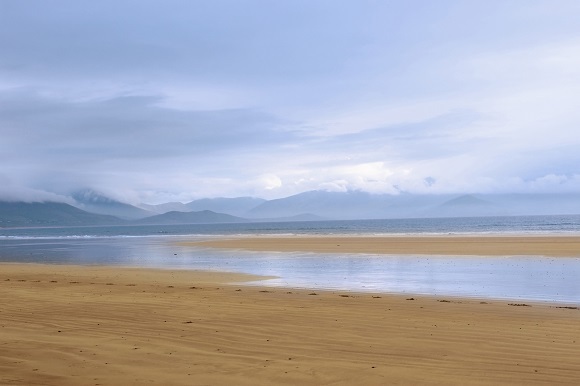 Located in Kerry, this is a fantastic place to surf. Waves come in straight off the Atlantic Ocean. Castlegregory is a small village that is halfway between Dingle and Tralee. 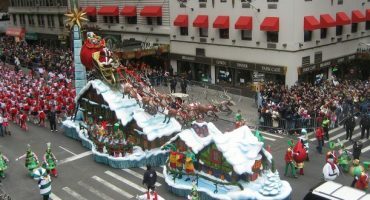 Create a fare alert and never miss a deal on a cheap flight to Ireland!